1. 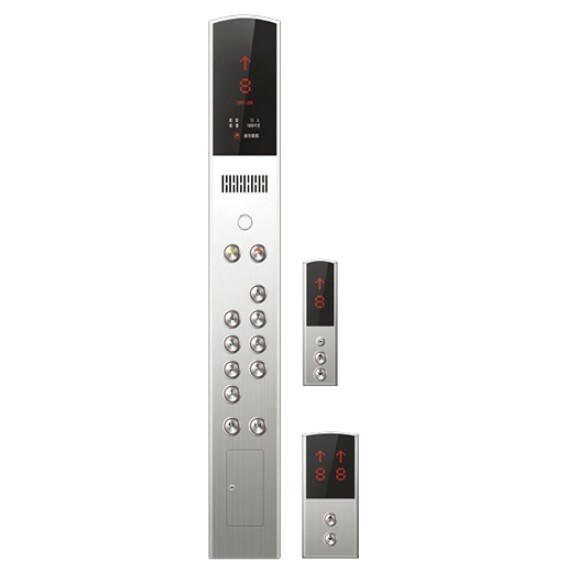 Ultra-thin elevator control cabinet. 2. 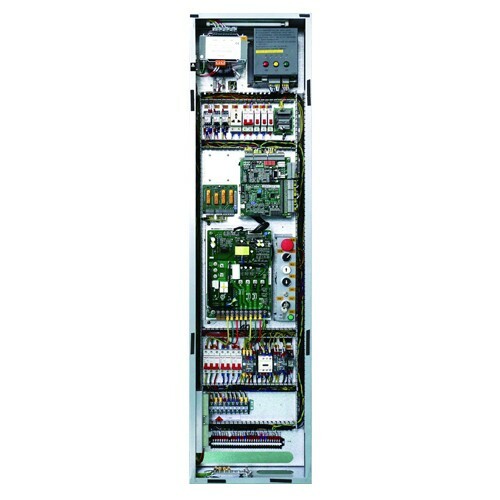 Thinner than normal MRL cabinet. 3. Suitable for the building that has no elevators before. 1. Modularized components for internal structure. 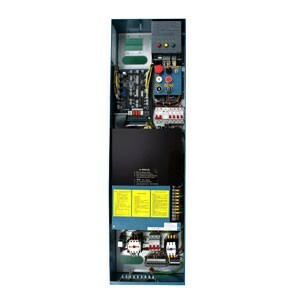 Easy wiring, assembling and repairing. 2. 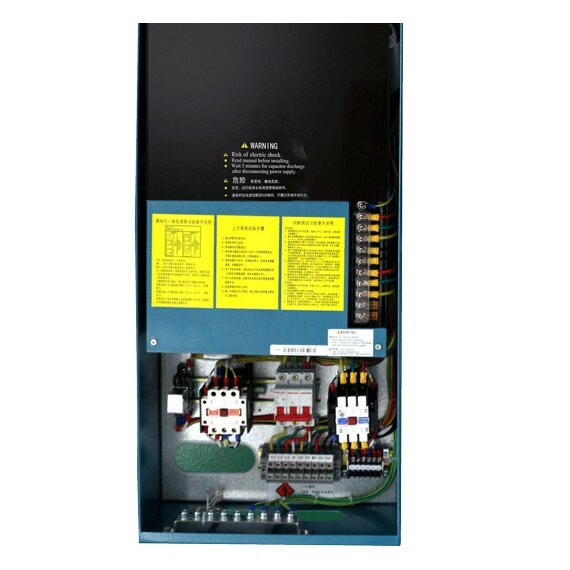 Internal terminal board provides easy accessibility for hoistway cable and travelling cable. The simply plug-in type connection makes wiring mistake free and save time. 3. 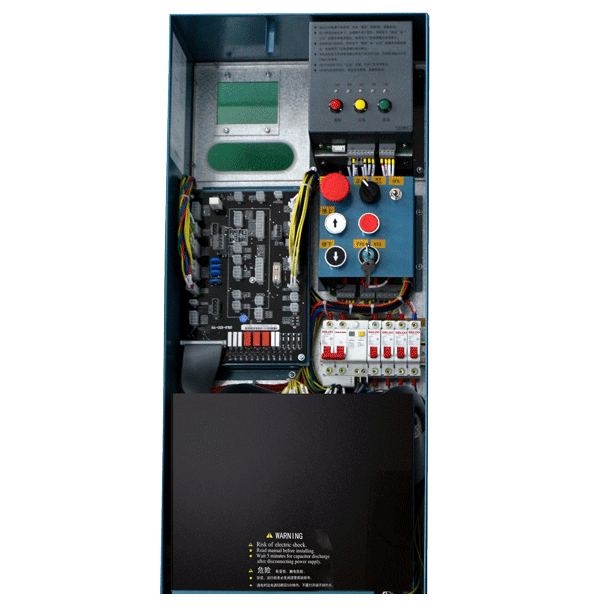 Built-in overvoltage protection module to cut off power input immediately after neutral wire is broken. Ensure the safety of other components. 4. Built-in power source for brake mechanism. 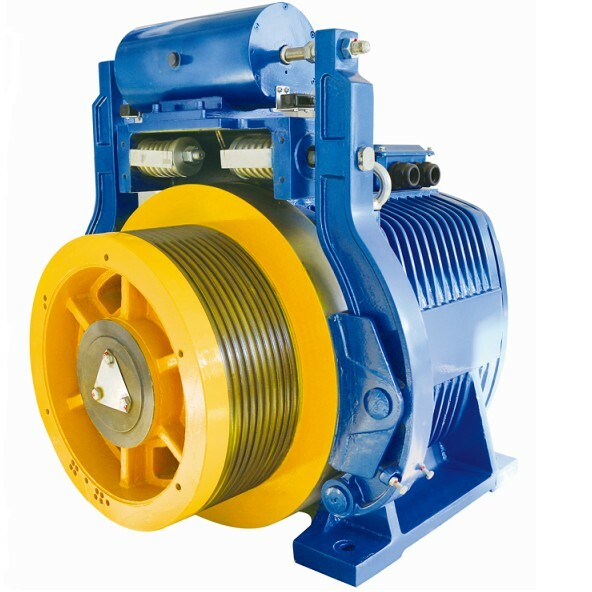 DC brake control which is more efficient and introducing less high frequency interference, heat and noise. 5. 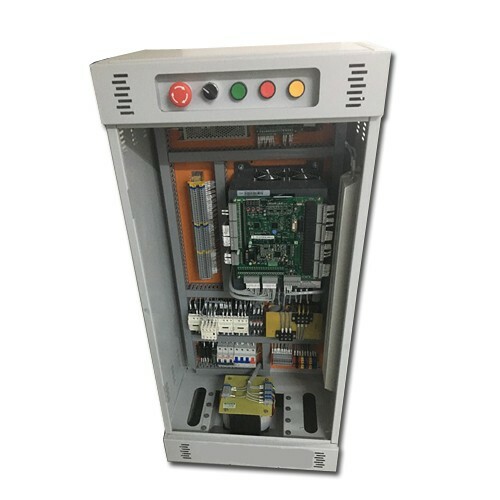 Built-in DC24V controllable power source, directly power output for landing call board, car board and others. 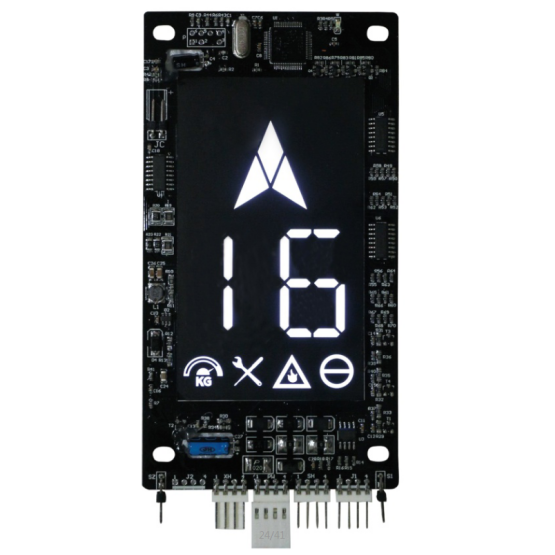 Outputs up to 5A rated current. 6. Separates the brake system power source from the inverter, reduces the volume and weight of the inverter. 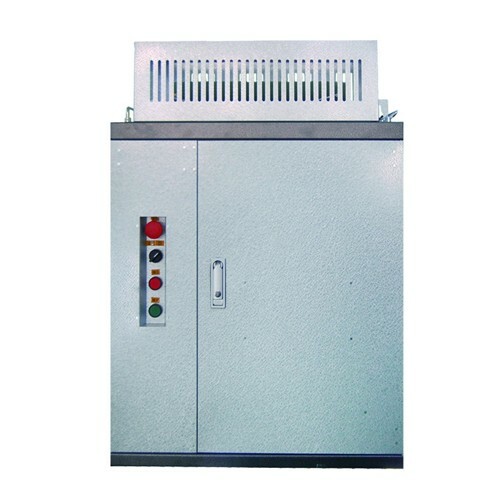 Thus, the size of the cabinet is reduced about 66% than normal cabinet. 7. 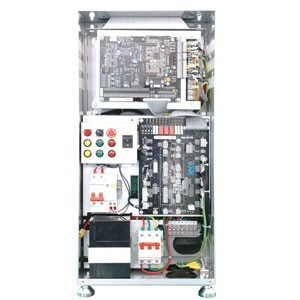 Light body design for the cabinet, minimises the amount of circuit switches and contactor. The cabinet is wire-socket free. Founded in 1989, a technology-based company with the highest technical strength. 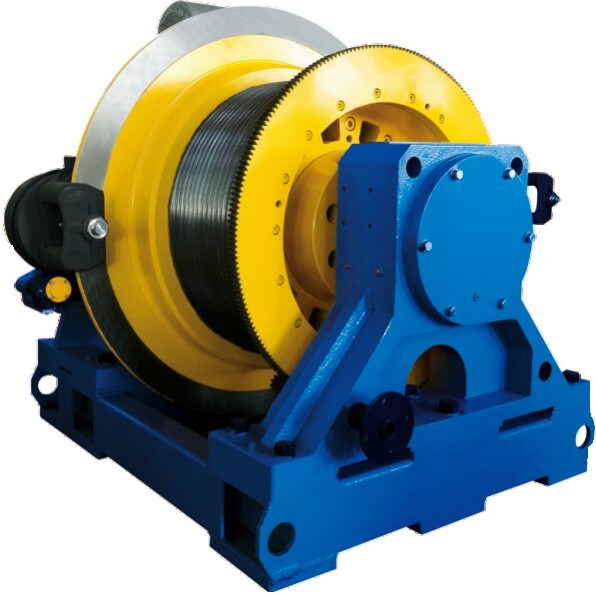 The only manufacturer in China to produce both control system and PM traction machine.